Ah ha a ha a ha! 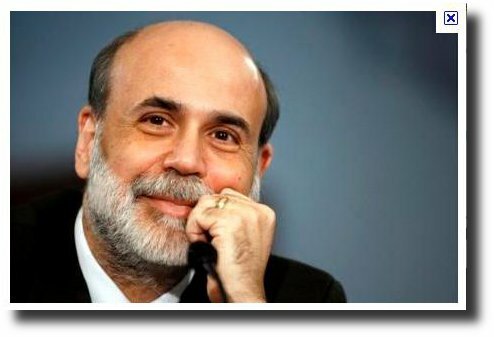 It was a couple of months ago that Ben Bernanke, chairman of the USA’s Federal Reserve Bank made history by holding their first PR press conference. As America staggers her way out of “recession” the powers determined this would be a good PR move and aid the Feds transparency. 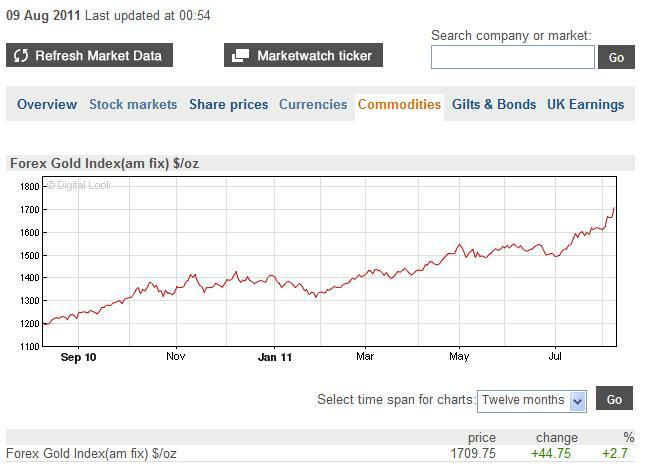 Before Mr Bernanke had finished his speech the dollar had fallen in value and the price of Gold rose $50 on the ounce. Now here we are so many months later. The Arab Spring, the uprisings in the Middle East, we’re now in August, the Spring has now become the Arab Summer. Tunisia, Egypt, Libya, Yemen, Syria. Bahrain, Algeria and Lebanon, not to mention the on going conflicts of Afghanistan and the occupation of Iraq. And now as I write we add Peckham, Hackney and Birmingham. Not to forget the protesting we’ve seen in Greece, that Spain has around 40% unemployment in the 18 to 25 year olds, no money no job no future. Portugal and Ireland anyone? And soon to be joining, Italy. The European Central Bank now steps in after buying up Greece, Portugal, Ireland bonds as the buyer of last resort, presumably because no one else really wants to or can afford to buy enough of them to make a difference. In the street the squeezed middle class, the people are beginning to turn and fend for themselves in these difficult times. It is the young who are hurling stones and smashing shop windows – no money, no job, no future. Those who have marginal skill sets to offer the work place. And those with skill sets that yesterday were valued, the Police, NHS staff and who else? Who hasn’t been affected by the down turn? Austerity prevails. President Obama | Yes we can! And I had to laugh out loud as Obama stood up to ‘address the markets’, to calm them as he proclaimed, that America has lost its AAA rating because the markets have lost faith in the month long wrangle over raising the debt ceiling. So it was nothing to do with the fact that you can no longer pay your bills then? The game is grinding to its close. 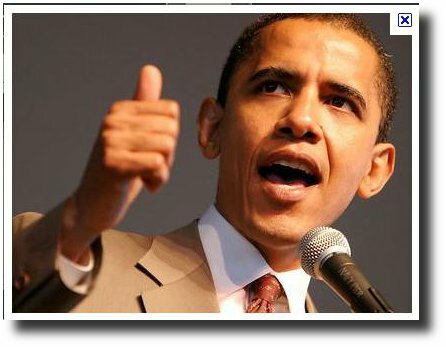 No sooner has Mr Obama addressed the markets that the markets did not stop their decline because President Obama had spoken. Ugh! The Dow Jones declined 634 points in the day. More over the price of gold achieved another all time high and gained another $40 on the day to close at $1709 per ounce. If it costs you more money to buy something then one of two things is happening. The more obvious one first, because more people want it, the seller can command a higher price for it. The less obvious second way, if your money, currency, has fallen in value, then the seller will ask more money for the item. If your government has printed Trillions of dollars, because there is so many more of those dollars, they are now, each one, worth less than before. Therefore since Aluminum, Copper, Wheat, Rice, Oil and Gold etc are all priced in US Dollars, you would expect them all to rise in price [as distinct from value] because the currency has devalued. So we see food prices and petrol prices rising in our high street. Imagine that before the credit crisis you lived on $1, $2 or just $10 per day. Now you’ll understand the civil unrest in the Middle East. Its people can’t afford to live that’s driving the civil unrest. Here in the UK it was the shooting of a man in Tottenham that initially sparked the riots of 2011, just the same thing happened back in the 1980’s riots, one incident kicked it all off. But we’re all aware of the rising costs of living in the UK over the last few years. Infact ever since the credit crunch and the printing of money began. The game is up. Printing money, running the economy on the basis of bail out money has run its course. There is no recovery. It has only been the continued Fed asset purchases that drove the stock market higher and since the asset purchases have ended in July, the markets have wobbled and now declined. The massaging of the main stream media’s economic data is not going to smooth over the cracks any longer. There is not the working consumers in America, nor the credit in their accounts to bolster the ‘consumer lifestyle’ that leads to recovery. There is only the devaluation of your dollars to make it sound like growth. The Democrats did not fight the raising of the debt ceiling so much as wake up to idea of having sound money. That is money who’s value is not inflated away and deficits that are $14.5 Trillion that is actually so large and accumulating so much interest so fast that it can never be repaid. Gaining another $2.4 Trillion which was enough for last year [read 365 days] actually won’t now last a year this time, because of the outstanding interest on last years $2.4 Trillion. It may only last 300 days this ‘year’ before its all spent and you are back to raising the debt ceiling again. After this the next $2.4 Trillion may only last 240 days before its all spent and so the financial year will shrink and shrink and shrink. Mr Obama like so many politicians today, you are impudent. The Emporer has no clothes. The Banking system, the Economy, is a dead man on life support, as is your political career. Gold Price | Yes it Can! The rise in Gold price reflects the downward devaluation of the US Dollar. Tagged Ben Bernanke, Currency Wars, Federal Reserve, Obama, Real Wars, Trade Wars. Bookmark the permalink.